​ "Helping children move in their own unique ways"
Early Intervention Associates is a private practice providing pediatric physical therapy for infants, children and adolescents. We provide quality care using evidence based knowledge, clinical expertise and collaboration with the family in a supportive, nurturing environment. Each child receives a thorough evaluation and a dynamic treatment approach based on their unique needs. We work with the child towards improved motor function to enable greater participation at home, school and in the community. We value collaboration and communication with the child, family, therapist and other health care professionals. EIA provides rehabilitative and habilitative services. We can not thank you enough for all you've done for (our son) and our family. We all enjoy coming to your center and feel truly fortunate to have you in our lives as his PT...and an EXTRAORDINARY one! Thank you for your hard work -- We are grateful to be guided by someone as you with such class, wisdom and expertise. Thank you for helping us foster (our son's) strengths! We will remember you when he scores a winning goal on his first soccer game!" The therapists at Early Intervention Associates have helped our daughter Libby achieve amazing progress in the time that we have been in their care. Their unwavering dedication and focus on our daughter’s person goals is unmatched. 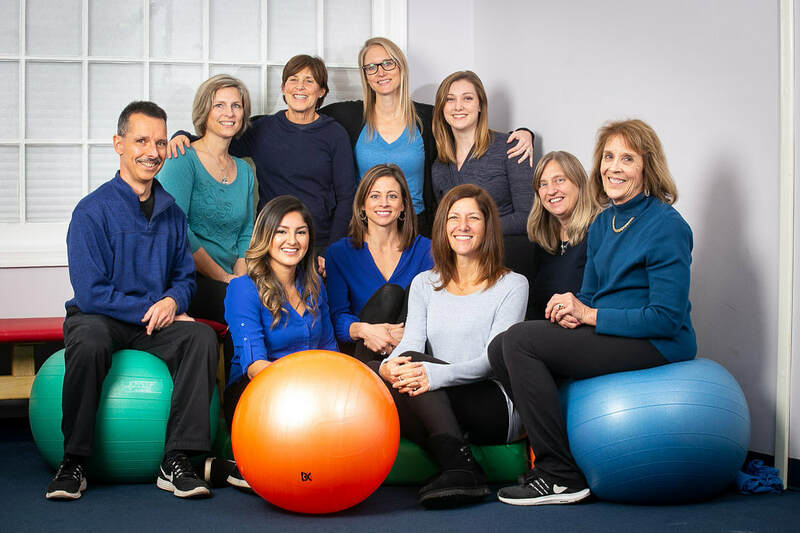 The therapists incorporate the latest physical therapy research, techniques and tools in a nurturing, motivating, and highly stimulating environment to facilitate growth in all of their clients. The lifelong relationships we have formed with the therapists, office staff, other clients, and their families make every session so enjoyable and empowering. The therapists provide our daughter with opportunities that afford her the achievement of success, stimulate her development, and challenge her to push herself to the next level. Early Intervention Associates also provides families and caregivers with support through connections with equipment providers in the community, offering advice, demonstrations, literature and web resources on current practices, and coordinate with medical professionals. In an effort to help Libby become more active in the community, the therapists at Early Intervention Associates have also provided therapy at off-site settings such as the local swimming pool and our home. The positive attitude and encouragement we receive from everyone at Early Intervention Associates is the highlight of our week! We are forever thankful to have Early Intervention Associates in our lives! When you walk in the doors of Early Intervention Associates you are welcomed by family. This group is a group of therapists you will never find anywhere else. My son took his first steps here after many told us he would never walk. Today he is climbing and jumping and close to running. This is the best place for PT in the DC area maybe in the world! "Ashley at the Early Intervention Associates was a godsend! She was recommended by a stranger in the mall after we had struggled to make any meaningful progress at 2 other physical therapy centers. Ashley works methodically towards the goals she sets for herself and her clients. Her experience, passion and dedication makes magic happen!"